YES, believe it or not, The Caveman has wheels from this century! 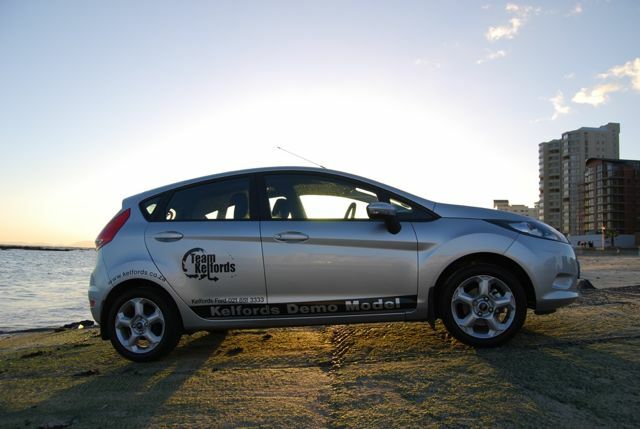 * Kindly sponsored by Kelfords in Somerset West, South Africa. 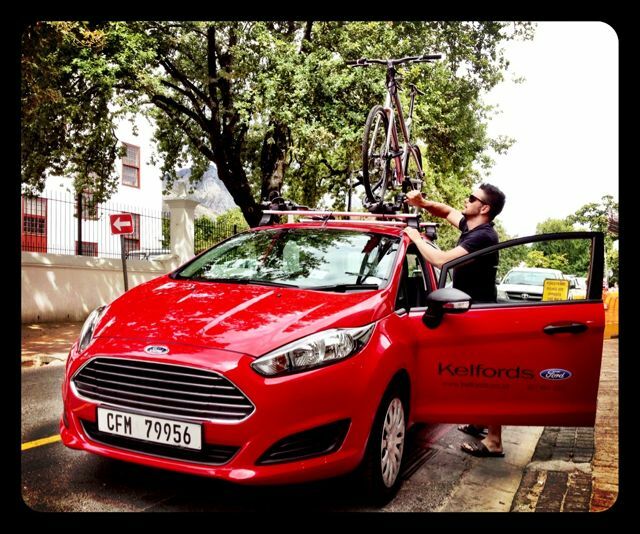 Kelfords is passionate about multisport. 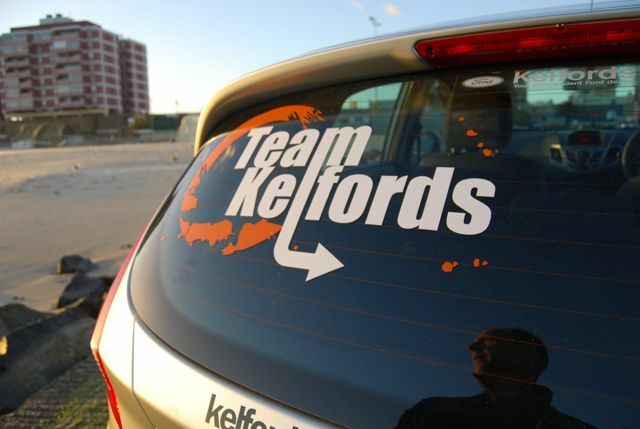 Team Kelfords Multisport club is very active in the Western Cape and they also support fellow XTERROR “DGH” Dan Hugo. After driving (and pushing) my dads 1988 Toyota Cressida GLE around Stellenbosch for decades, this nippy little Ford Fiesta 1.6 Trend is like living in a dream. It starts every time, ALL FOUR speakers work, it burns more petrol than oil… No, seriously- I LOVE this car. Its nippy, it comfortably takes off (or “launch” as I call it) in 2nd gear, it corners like on rails, it fits into parking spaces in the 1st try, it is really light on fuel (5.9L per 100km rating) and of course, it looks good. Now I can even legally talk on the phone once I put my Blue teeth in. Cheez, whats next?! Voice control? O ja, it already has that. AND it comfortably fits a size XL 29er (or two) in the back. I’m working on a roof rack for the bikes. Got to keep this baby looking new, since the Caveman will now be known for his nice, clean car, as opposed to “The Owner Of The Red Rocket”. 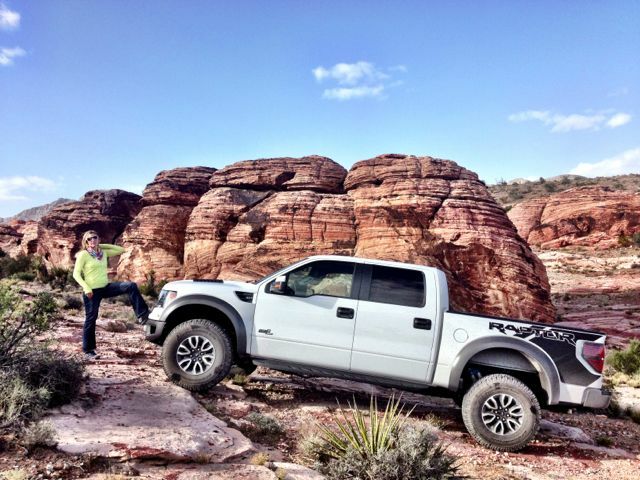 * If you dont know the Caveman transport story, check out this great blog post- “A tribute to the Red Rocket“.